In most areas of the country, an electric furnace, or electric resistance heating, is usually not the first choice for heating a home. This type of heat is generally more expensive to operate than combustion appliances, such as natural gas, propane, or oil furnaces. Usually electric heating is chosen only if it is the only option, due to extreme climate or limited utility availability. If electricity is the only fuel available, and you live in a mild climate, a heat pump would be the preferred choice. A heat pump can save as much as 50% when compared to an electric furnace. Dry climates with few heating days, such as eastern New Mexico, western Texas, and western Arizona, could be a viable choice for an electric furnace. Systems in these, and other dry climates, operate so seldom that high operating cost is not a concern. A small addition on a home can be a candidate for electric heating. The existing system could be maxed out, or if it is structurally or economically impractical to alter the existing system. Due to ductwork losses and additional energy needed for air distribution, an electric furnace can be more expensive to operate than some other electric heating systems. Electric resistance wall heaters, space heaters, electric radiant or baseboard heaters can all be more economical to operate than the standard electric furnace. An important point to ponder here is the room-by-room zoning possibilities of separate room heaters. The blower in an electric furnace moves air across a series of electric heating elements. The air is superheated and then distributed into the living space. The heating elements are staged to not overload the home's electrical system. The heating elements are 240 volt, and some units can require upwards of 80 amps required electrical supply. As with any forced air furnace, it is important to not allow your filters to get too dirty. For top efficiency, clean or replace filters often, as recommended by the manufacturer. The typical electric baseboard heater has electric elements surrounded by metal piping and aluminum fins for heat transfer. The heat rises into the room and cooler air is pulled into the bottom of the unit. The heating elements are surrounded by a cabinet to protect against accidental burns. Each room is controlled by a separate thermostat. If a room requires multiple heaters, they are generally controlled by a single thermostat for the room. This is where the benefit of zoning comes in. Each room is naturally zoned. With programmable thermostats it is relatively simple to raise and lower temperature for high or low usage times of day and night. Electric baseboard heaters should be installed 1" or slightly more above the finished floor or carpet, for proper air intake from the bottom. They should also be placed beneath the room's windows, on the exterior walls, for best performance. If the cold air is killed where it comes in, the interior of a room remains warm. An electric wall heater usually has a heat reflector behind the heating element to radiate heat out into the space. 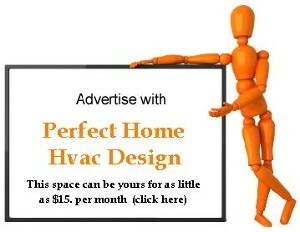 A wall heater is usually installed on an interior wall. Most are equipped with a small fan to distribute the heat farther into the room. Electric resistance heating lends itself well to zoning. Wall heaters and baseboard heaters are naturally zoned room-by-room. Adding dampers and a zoning control system to an electric forced air heating system can be economical and relatively easy to install. Remember, when zoning any forced air system, do not drop the temperature in any area of the home to below freezing. You may have water pipes and drains in these areas, which must be kept above freezing, or a whole host of problems will arise. 1) Check your thermostat: Is the selector switch on "heat"? Is the thermostat set higher than the actual temperature of the room? 2) Are the batteries in your thermostat fresh? 3) Check your electrical panel for tripped circuit breakers. Check your furnace for tripped breakers at the heat strips. If you do find tripped breakers or blown fuses, reset once. If the problem persists, it's time to call your service company. 4) Unless you are very familiar with high voltage, do not attempt to service any components inside the unit. High voltage can be deadly!